The Powet.TV crew are having a blast at MAGFest — we’re having SUCH a good time, in fact, we don’t have a lot to spare to show you what’s going on tonight. But we will endeavor to sate your curiosity a bit; this is the kind of thing that happens there ALL THE TIME. We’re quite happy that the state of technology has advanced to the point where we can get this important information to you in low-cost HD video! Enjoy. 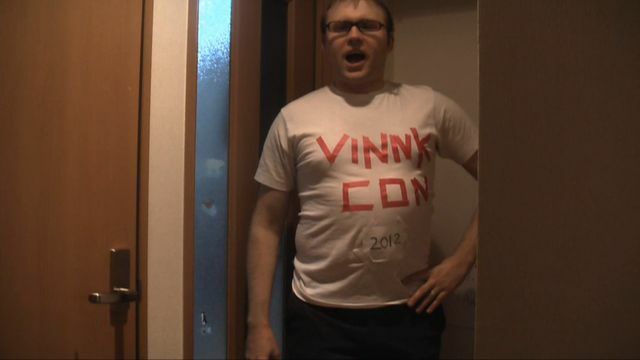 While Sean is away at MAGFest 2012, Vinnk holds a special event of his own! We’re going to be updating all weekend long from the convention, so check this space for daily video diaries, posts about awesome things, and (hopefully) more great videos like this one! MAGFest 2012 starts tomorrow. If you don’t know what it’s about, then this video is a perfect place to start!